Are you seeking out Minnesota Life Insurance Company reviews? If so, you have come to the right place. In this following article we will cover the pros, cons, and recommendations if you are considering Minnesota Life as your insurance provider. Minnesota Life is a top rated life insurance company and one of our top 10 best indexed universal life insurance companies. We search high and low to find the best companies and policies available. In our experience, the right company (for you) is the one that best fits your needs and caters to your specific health or lifestyle. So the question then becomes, is Minnesota Life the right company for you? Minnesota Life Insurance Company was founded in 1880. The Company is available in all states except New York. Securian Financial Group is the parent company of both Minnesota Life Insurance Company and Securian Life Insurance Company. In New York, insurance products are issued by Securian Life Insurance Company. Both companies are headquartered in Saint Paul, MN. 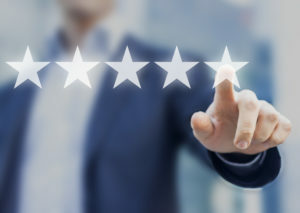 Any good Minnesota Life Insurance review will need to address the company’s excellent financial ratings form the top ratings agencies. By any standard Minnesota Life has some fantastic ratings. Now let’s see what products the company offers. Minnesota Life offers a wide array of products and services. In order to make the right choice for you it is important to understand the differences between whole life vs term life insurance. Once you know what type of coverage you need, then it comes down to tailoring that specific policy to meet your goals. Level Term Life Insurance. Available terms include 5, 10, 15, 20, and 30. Term life is great for inexpensive “pure” death benefit protection. The premiums remain fixed for the term. The policy has no cash value. Upon expiration the policy can be renewed annually, although the cost of insurance goes up every year, accelerating the older you get. Alternatively, you can keep the coverage by using the conversion option, which allows you to convert to permanent coverage without evidence of insurability. Conversion option during the term period with no proof of insurability. Minnesota Life’s whole life insurance offerings allow you to focus on either the death benefit protection or the cash value growth in a guaranteed whole life setting. Among the guarantees offered with whole life are fixed premiums, lifetime death benefit and cash value accumulation. Secure Accumulator is focused more on early cash value growth. Secure Protector is focused on a death benefit with long term cash value growth. These are participating whole life insurance policies, which means you can share in the company’s profits via life insurance dividends. Dividends can be used for many things but the most popular option is paid up additions, which allow you to buy paid up additional life insurance, increasing your death benefit and cash value. Tax free life insurance loans can be used for anything you choose, although the top uses would be for supplementing your retirement income, buying passive income assets, or purchasing large ticket items. The latest IUL offering form Minnesota Life focuses on cash value accumulation and provides accelerated underwriting life insurance innovation with the company’s WriteFit Underwriting. Available for ages 18-54 for up to $250,000 of coverage with no labs or blood work. There are three interest rates on life insurance loans providing the opportunity for a net zero cost loan or even positive arbitrage. Index crediting is point-to-point with an annual reset. There is also a two year uncapped option that comes with a two year reset. There is a 2% guaranteed floor for the fixed account, with a 1% floor on one indexed account option, and 0% floor on the remaining four index options. The participation rate for the indexed accounts are 100%, with one indexed account offering 115%. This policy should be considered when considering life insurance for children since it offers a guaranteed insurability option. The GIO rider allows the insured to buy more life insurance without evidence of insurability at certain ages, or alternatively, on special occasions, such as marriage or the birth or adoption of a child. The older you get the more likely you will need long term care. And long term care is not cheap, with the typical stay at a nursing home ranging close to $100,000 a year. In home care is also not cheap, closing in on almost $50,000 a year in 2017. So, what is someone to do who does not want to see all their hard earned money spent on long term care costs? Enter long term care life insurance. These are hybrid LIFE plus LTC insurance policies that provide benefits in three ways. You can die and your beneficiary will receive a lump sum death benefit. You are diagnosed chronically ill, and you receive accelerated benefits from your policy’s death benefit. 100% return of premium after year 6. Upon being diagnosed diagnosed as chronically ill, which requires that either you are unable to perform 2 of 6 activities of daily living, or you have a severe cognitive impairment, the policy will pay out a tax free benefit. The income benefit is subject to the IRS per diem amount, which for 2017 is $360 a day, an increase of $20 from the 2016 IRS per diem limit for long-term care insurance contracts. Inflation protection rider available for 5% compound growth, 5% simple and 3% simple growth. 100% return of premium benefit in year 6. Estate Planning, such as funding life insurance trusts. Business succession planning, such as funding buy sell agreements or key man business life insurance. As you may have read in other Minnesota Life Insurance Reviews, the Company does excel in certain key niche markets, including tobacco and nicotine, asthma, depression, and anxiety. Minnesota Life’s life insurance rates are priced competitively, often ranking near the top spots for various term lengths for both genders. Please enter your info into our quote form for free Minnesota Life Insurance quotes as well as from dozens of other life insurance companies. Minnesota Life is an awesome company. We do not have anything negative to say about the company, per se. However, one area that the company comes up short in is with a viable no exam term life insurance policy. The company does offer express underwriting for lower face amounts, but if you need more than $250,000 in coverage, you will need to look elsewhere. Not everyone needs to consider the advantages of no physical exam versus fully underwritten life insurance. However, it is prudent to at least consider the following. No exam coverage can protect anyone who is thinking about getting coverage but who has not had a recent health exam. You see, the last thing you want to do is take an exam only to find out you have elevated blood pressure, cholesterol, or diabetes. Instead, get the no exam policy in place and then take an exam. If the exam policy comes back at a better rate, simply cancel the no exam policy and keep the exam policy. However, if your exam policy comes back at a higher premium or declined, simply keep the no exam coverage. As is the case of every insurance carrier, Minnesota Life simply cannot serve the needs of every client. The problem lies in the areas where Minnesota Life does not excel. That is where we come in. We at TermLife2Go have a recommendation for anyone considering a life insurance policy from Minnesota Life. Give us a call and let us see if Minnesota Life is the best company with the best price for your life insurance needs. If they happen to be the best offer, we will let you know. However, with dozens of top rated life insurance companies to choose from, you might save thousands of dollars over the life of your insurance policy by going with another life insurance provider. For a free life insurance consultation and for free quotes from Minnesota Life and dozens of other life insurance companies, please call us. Thank you for reading our article, Minnesota Life Insurance Company Reviews. Please leave any questions or comments below.